Men's V-Neck Sweater Just $9.96! Down From $60! You are here: Home / Great Deals / Men’s V-Neck Sweater Just $9.96! Down From $60! Men’s V-Neck Sweater Just $9.96! Down From $60! For a limited time only! 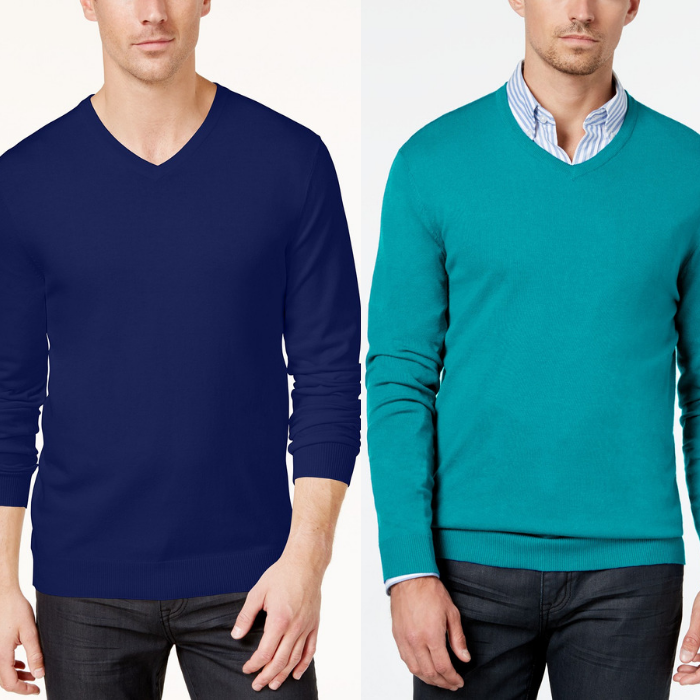 Macy’s is offering this Men’s V-Neck Sweater for just $9.96 down from $60! PLUS, it ‘s FREE store pick up or FREE shipping with any beauty purchase or on orders $49!